Jakob Hart, Vice President, Hart & Hart Financial Services, has earned the Retirement Income Certified Professional (RICP) professional designation from The American College of Financial Services. The RICP® educational curricula is the most complete and comprehensive program available to professional financial advisors looking to help their clients create sustainable retirement income. Jakob Hart, Vice President, Hart & Hart Financial Services, has earned the Retirement Income Certified Professional (RICP) professional designation from The American College of Financial Services, Bryn Mawr, PA. Candidates for the RICP® designation must complete a minimum of three college-level courses and are required to pass a series of two-hour proctored exams. They must also have three years of experience, meet stringent ethics requirements, and participate in The College's continuing education program. Using the most current techniques, RICP®s identify retirement income needs and objectives and evaluate a client's current situation relative to those goals. Individuals who earn a RICP® can provide expert advice on a broad range of retirement topics including income needs and objectives, estate issues and other risks to the retirement income planning, Social Security, health insurance, housing decisions, and income taxation. Jakob began his financial service career after earning a Bachelor of Science in Finance from the University of South Florida. Jakob focuses on helping small business owners, government employees, and other individuals confidently transition into retirement. Jakob works with his father, Barry Hart, at Hart and Hart Financial Services. The family business was founded by Jakob's Grandfather, Terrell Hart, and they have been in business since 1965. Jakob resides in his home town of Sarasota, FL, with his wife Andrea, and daughter Piper. 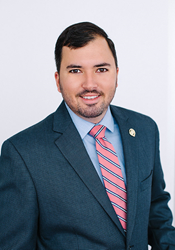 Jakob is a member of the Sarasota Chamber of Commerce Young Professionals Group, National Association of Insurance and Financial Advisors, Sarasota Free Mason's Lodge #147, Sarasota Sahib Shriners, and Business by the Bay, a local Business Network International Chapter. Please contact Jakob for a free retirement consultation at 941-355-6646 or jakob(at)hartandhart(dot)com.